The Accounting and Auditing Organisation for Islamic Financial Institutions (AAOIFI), in collaboration with the World Gold Council (WGC) and Amanie Advisors, has approved a Shariah Gold Standard. This is a set of guidelines that will expand the variety and use of gold-based products in Islamic finance. The 1.6 billion Muslims in the world, 25% of the population, will have far greater access to the gold market than they have had since the beginning of modern finance, which has been primarily structured towards Western ideals. 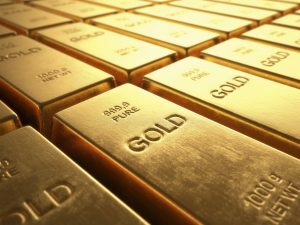 The new Shariah gold standard will increase both the number and diversity of Shariah-compliant gold investment products; it will place far greater emphasis on the role of physical gold in gold transactions; and it will give a greater role to Islamic finance in the setting of the gold price. There has been a need for clarification on how gold bullion can be used for investment purposes by Muslims. This uncertainty has kept Shariah-compliant offerings at a minimum and many investors restricted by the type of gold bullion transactions they can participate in. Islamic investors have always had access to the gold market through jewelry and coins, but this guidance could increase the number and diversity of investment products available. Demand could climb by five hundred to one thousand tonnes per annum. Given that recent supply/demand figures showed a surplus of just 172 tonnes of gold in the market, there could be some tightening with the increase of Shariah-compliant gold instruments, which will have a positive effect on the price. The launch of a Shariah gold standard signals a changing dynamic in the gold market. Until now, no group as influential as the AAOIFI has issued guidelines stating that gold must be the underlying asset in all gold transactions. While the likes of the COMEX gold market can grow to multiple times the size of the underlying physical market with little effect on physical demand, this will no longer be case for all parties involved.